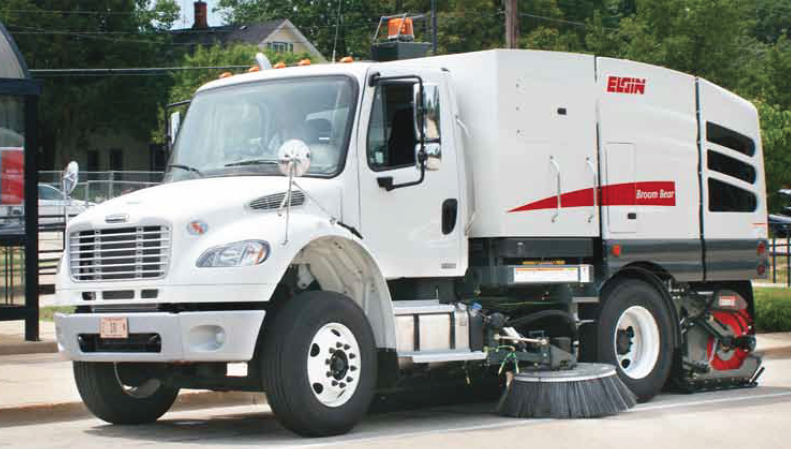 The Elgin Broom Bear features a high torque diesel engine paired with an International Durastar or Freightliner Business Chassis to deliver the ultimate in reliability and power. The single engine layout also provides better fuel efficiency and easier maintenance. 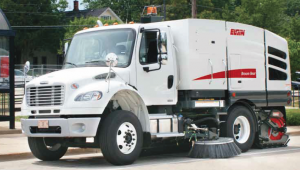 The main broom on the Broom Bear is attached to a floating trailer arm to increase safety and productivity while better conforming to contours in roads. 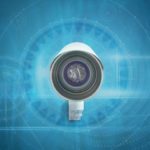 Productivity is also boosted by automatic settings for wear control and down pressure. 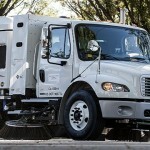 The lower functions and lift are easy to control right from the cab, and the main broom arm bearings self-align and adjust when experiencing an uneven load. 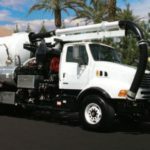 The Elgin Broom Bear features a standard variable height dump that makes it easy for operators to unload at ground level to the full dump truck height, and the hopper allows for material to be unloaded into the middle of a container or truck. Even at its full lift capacity of up to 11,000 pounds, the hopper can be completely raised, dumped and retracted in just over one minute. 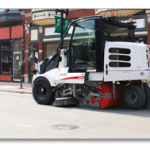 To learn more about this machine and its features for residential street maintenance, road construction clean up and general urban street sweeping, contact the team at Haaker today!